We toured the key sites in Avignon: the Papal Palace and the Pont d’Avignon. Categories: Cycling in Provence | Tags: Avignon, Papal Palace, Pont d'Avignon | Permalink. When Peter Mayle wrote the 1989 best seller A Year In Provence, it was set in the area we were riding today. Called The Luberon, it consists of three mountain ranges – Le Petit Luberon, Le Grand Luberon, Le Luberon Oriental, (I’ll let you translate those!) and the valley surrounding them. A Year in Provence tells the story of Mayle and his wife renovating a two-hundred-year-old farm house outside Ménerbes, which is one of the Luberon towns we visited today. It opened the eyes of many English-speaking people to the joys of life in Provence. Categories: Cycling in Provence | Tags: Bonnieux, Gordes, Lacoste, Ménerbes, Roussillon | Permalink. Serendipity: The occurrence and development of events by chance in a happy or beneficial way. Categories: Cycling in Provence | Tags: Gordes, Serendipity | Permalink. Amid all the beauty of France, it is hard to be taken by surprise. L’Isle-sur-la-Sorgue is such a place. A small town 25 kilometres east of Avignon, it’s special beauty is the Sorgue River that runs through and around it. Categories: Cycling in Provence | Tags: Isle-sur-la-Sorgue, Provençal markets | Permalink. Categories: Cycling in Provence | Tags: Le Thé à la Menthe, Vaison-la-Romaine | Permalink. We are always concerned about where our bikes will be stored at night. It would be devastating to have them stolen. 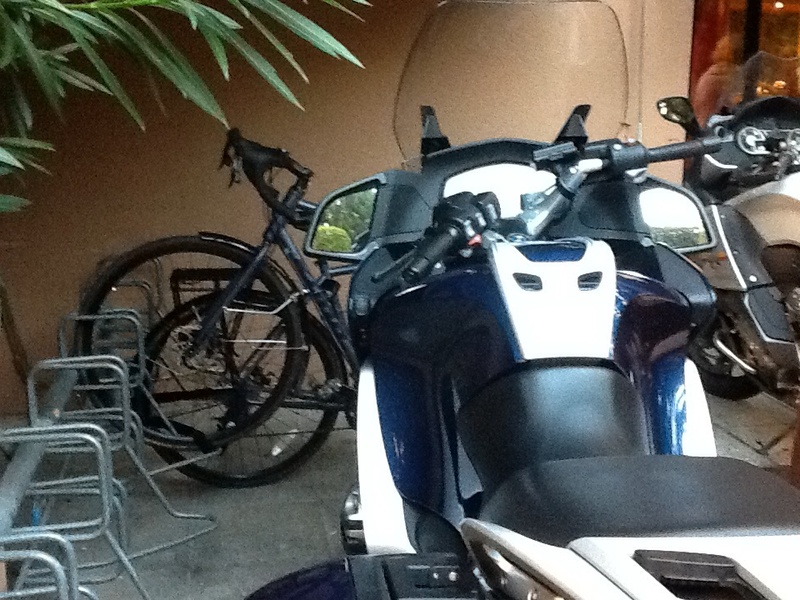 Last night, after dinner, as is our habit, we went to check our bikes. We found them corralled by six big beasts. 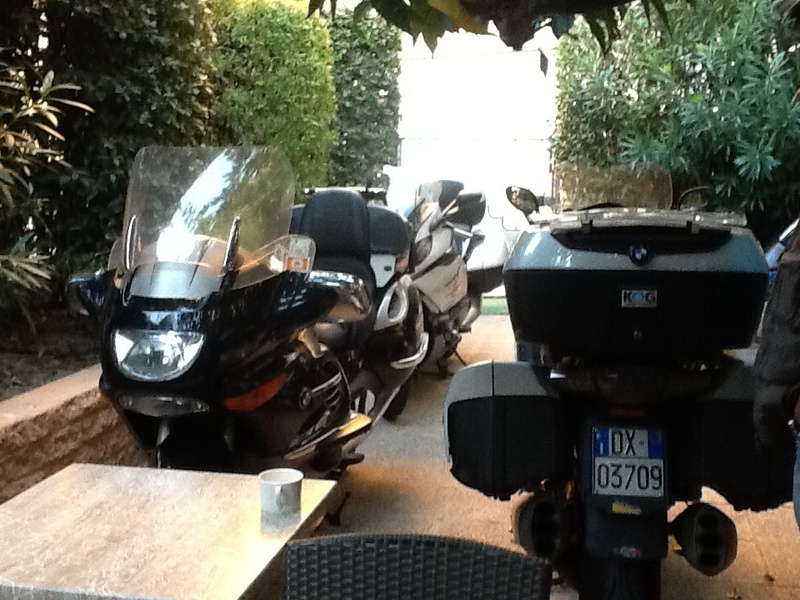 A group of six mammoth-sized BMW motorcycles watched over our bikes. We knew they were safe. I think I might upgrade my ride! Categories: Cycling in Provence | Tags: BMW, BMW motorcycles | Permalink.